and ebooks at itunes and kobo. it is available at retailers worldwide. Healing from stress after trauma challenges one to be courageous, determined, and resolved to do the work. It is not easy. The rewards are immense: there is growth, learning, and the spirit expands. 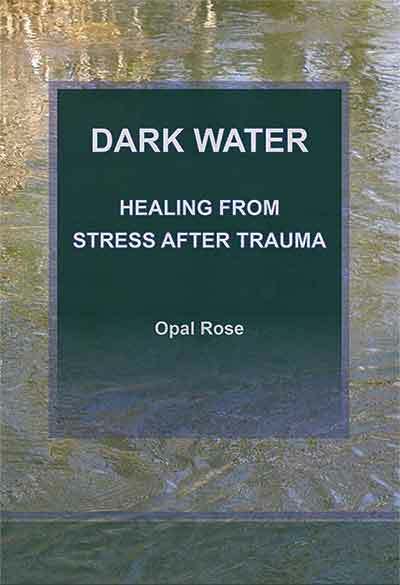 Dark Water: Healing from Stress after Trauma suggests that this encompasses the whole person that is you. The journey forward includes healing biology, mind, and soul. Paths toward healing run deeply through who you are. It is a journey of many twists and turns, of infinite colors and hues, and of discovery. This book suggests that trauma is experienced in ways that are individual, and consequently the individual needs to heal. Compassion is vital especially from oneself to oneself. Dark Water: Healing from Stress after Trauma is written in a subdued manner and is meant to be thoughtful during a difficult time. It suggests seeking assistance. References and online resources are included in case they might be of use.